Dentistry has witnessed tremendous advances in all its branches over the past decade. With these advances, the need for precise diagnostic tools, especially imaging methods, has become mandatory. From the simple intra-oral periapical X-rays, advanced imaging techniques such as, cone beam computed tomography (CBCT) have found a place in modern dentistry. Changing from analogue to digital radiography has not only made the process simpler and faster but also made image storage, manipulation (brightness/contrast, image cropping, etc.) and retrieval easier. Three-dimensional (3-D) imaging has made the complex cranio-facial structures more accessible for investigation. These images are vital for accurate treatment planning for patients undergoing orthodontic (braces), implant, root canal treatment, removal of wisdom teeth and other facial surgeries. In fact, these images guide the dentists enabling execution of a treatment plan with confidence and accuracy, thus, improving quality of treatment and minimising probability of failure. Kinross Dental Care recently installed a state-of-the-art dental imaging unit – a cone beam CT scanner (CBCT), manufactured by Planmeca from Finland. Planmeca is one of the world’s leading manufacturers of digital dental units, CAD/CAM solutions, 2D and 3D imaging devices and software solutions. This is the first time a Planmeca CBCT has been installed in Sri Lanka. This CBCT unit has the ability to take a full range of dental imaging including 3-D imaging. It also aids ENT imaging with the capture of sinuses, ears and airways. Further, sophisticated software allows preplanning, making treatment outcomes predictable. Additionally, patient safety being paramount, the Planmeca CBCT is designed to operate using exceptionally low radiation exposure to patients. 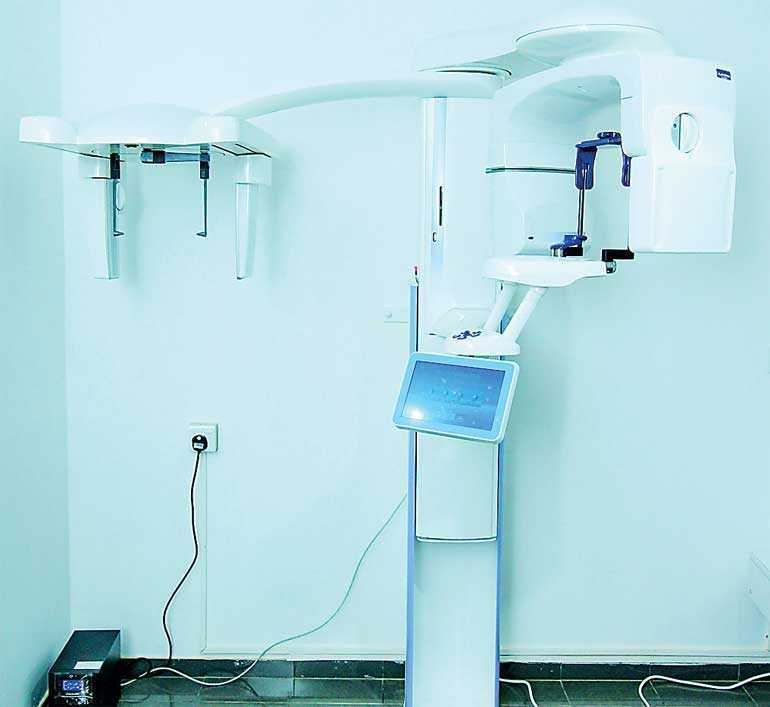 In view of the investment aimed at uplifting dentistry in Sri Lanka, the Finnish Ambassador to Sri Lanka Harri Kamarainen along with Commercial Representative, Consulate General of Finland Yasmi Bari, visited Kinross Dental Care in Bambalapitiya, following the installation of the CBCT unit. Kamarainen congratulated the team on behalf of the government of Finland for being the first to install a Planmeca Dental Imaging unit and commented that this installation would further strengthen economic ties between the two countries.